Edward, a native of <?xml:namespace prefix = st1 /> New York , received a B.A. from Northeastern University in Boston in 1968 and his Juris Doctor from New York University School of Law in 1971. After graduating, Edward relocated to Florida where he was admitted to the Florida Bar in 1971. 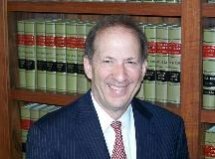 He is a member of the Florida Bar, the Dade County Bar Association, the academy of Florida Trial Lawyers , the American Association for Justice and the Friends of 440, a workers' compensation advocacy organization promoting the rights of injured workers. Edward is married to Vickie Busch. They have two children and three grandchildren. 100% of Practice devoted to representation of injured workers and persons injured in Automobile accidents, slip and falls and victims of defective and dangerous products or medical malpractice.